Minimal damage was recorded in the islands throughout Tonga from the heavy rain and gale winds from TC Mona yesterday. Radio Tonga’s Stringer in Niuatoputapu Louina Pongi says the locals were happy when the cyclone warning was cancelled this morning although they experienced heavy rain and gale winds and the only damage recorded up to this morning was on fruit trees. 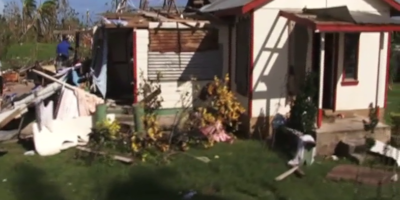 The Government Representative of Niuatoputapu – Feinga ‘Iloa says once they were informed to prepare for the cyclone the residents living on the low lying areas started securing their homes. The Government Representative of Niaufo’ou Falati Papani says they experienced heavy rain this morning and the main road was flooded due to the heavy rainfall in the past few days but the island is in a satisfactory state. Also Speaking to Radio Tonga News this morning – the Government Representative of ‘Eua Sunia Havea says no damage was recorded on the island during the rainy days. A senior officer from NEMO says they are yet to receive any reports on major damage recorded from the heavy rain although minor damage from the communities have been reported. 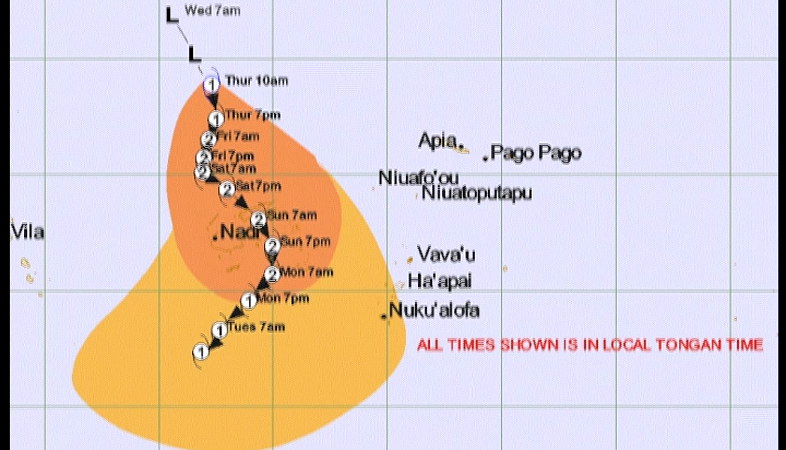 Around four this morning a senior forecaster announced on Radio Tonga the tropical cyclone warning for Tongatapu and ‘Eua has been cancelled.